A series of cyanotype prints using the same methods created in the 1850's. 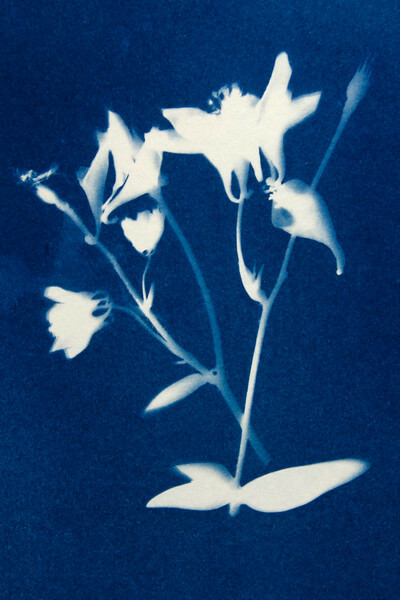 Columbine Variation #1 -- A cyanotype contact print of Columbine flowers. 5" x 7" in an 8" x 10" frame.